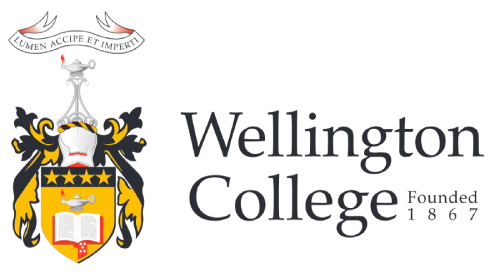 Wellington College is a state school. We recieve Government funding which covers the basic requirements of our learning programme for domestic students. However, due to our high decile rating, we receive less Government funding than most state schools. We are therefore relaint on additional sources of funding to support our extensive programmes and maintain and develop outstanding facilities. This donation helps cover costs such as photocopying and teaching resources which have increased significantly over the past few years. This covers major building projects and is administered by the Board of Trustees. By donating, parents are able to support the funding of amenities currently being used by their sons and to bring forward future developments. This covers equipment, facilities hire, and co-curricular activities including sports, music, drama, public speaking, debating, cultural activities, work exploration, clubs, and various student competitions. Our objective is to encourage wide participation in these activities by partially subsidising them, while retaining a user-pays content for specialised activities with higher per person costs. As part of providing a full programme of activities to meet curriculum requirements and enhance the curriculum for students at Wellington College, the school provides a range of resources and activities for which parents have made payments in the past. Rulings by the Ombudsman and the Inland Revenue Department have resulted in some new rules around how these costs must be described. On the parent portal or your fees statement you will notice that some items are marked as “Voluntary Contribution” and others as “Optional”. Those items marked as “voluntary contribution” are items that the school provides as part of the curriculum for which the school cannot require payment from parents. Parents can choose whether or not to pay for these items. Regardless of payment, all students enrolled in the subject will be given access to the item. However in the event that a significant number of parents choose not to pay for these items, the school will experience a shortfall in funding. Voluntary Contributions are classed as a donation and qualify for a tax donation credit rebate. Items marked as “optional” are items that the school provides as an enhancement to the curriculum for which the school does not receive funding from the Ministry of Education and for which the school can require payment before a student can participate in the activity or access the item. You may choose to pay through the parent portal, direct credit, automatic payment, cheque or through the Stationery Shop using cash or Eftpos. You may make your payment in one lump sum or spread your payments by term, monthly or fortnightly. Please use your son's name or student number as a reference when making an online payment.